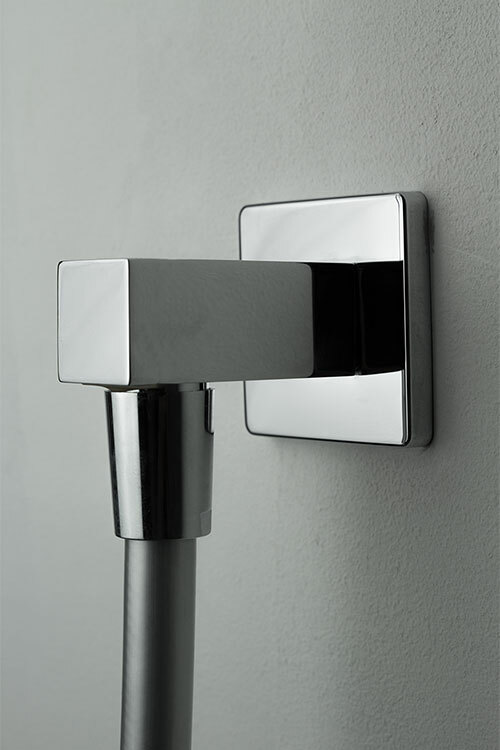 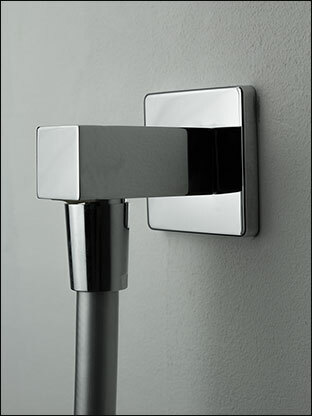 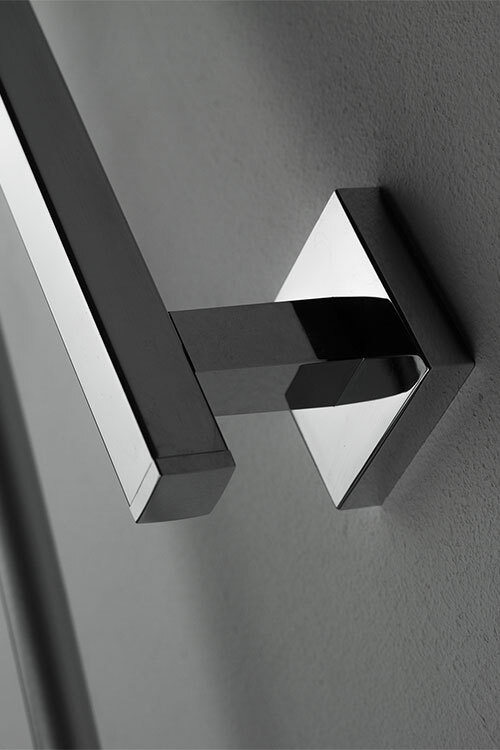 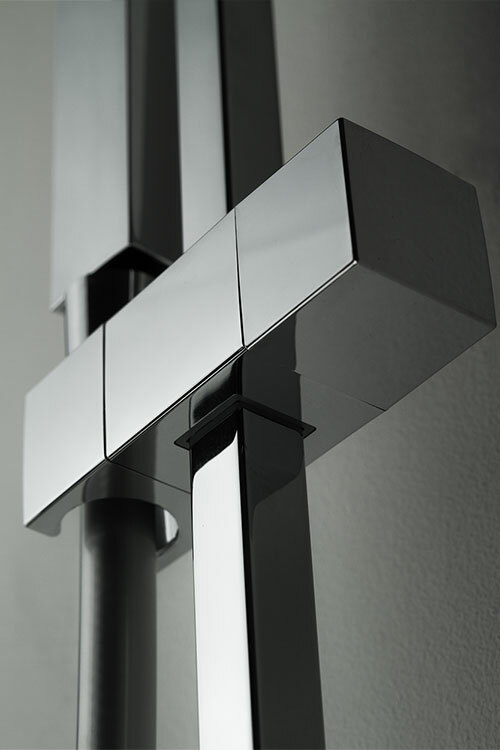 This chrome handheld shower and rail has a stylish square design. 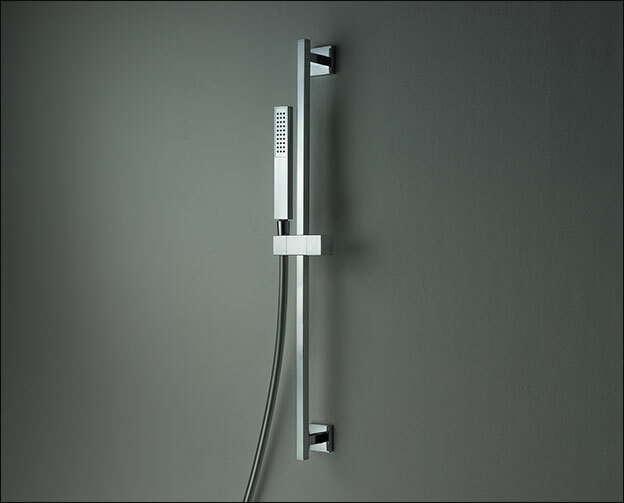 This shower has an adjustable height and tilting head to adapt to the ideal position. 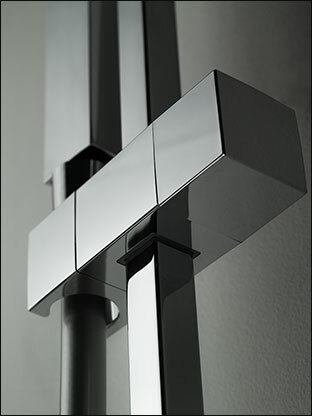 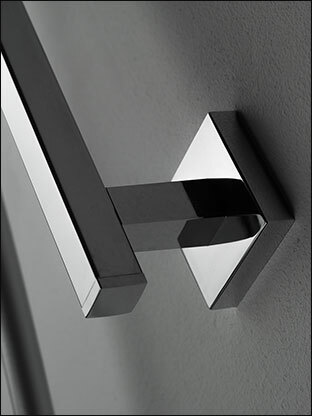 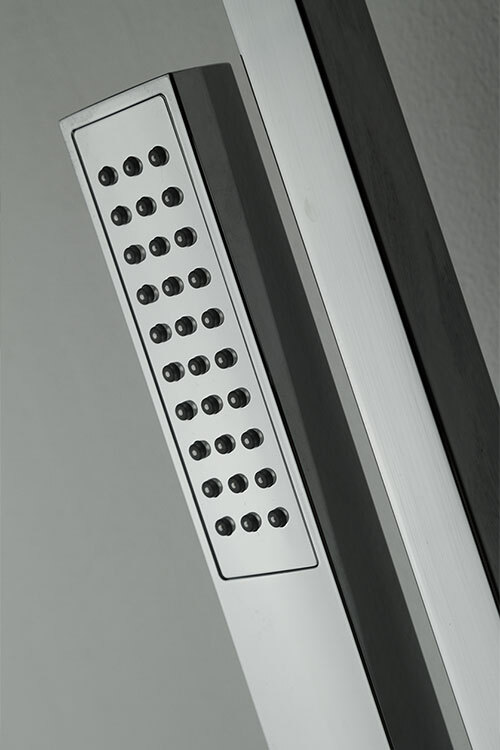 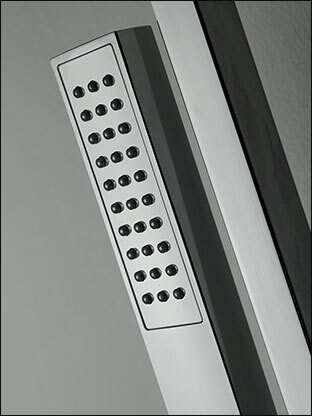 The Cubic Adjustable Shower Rail is made in Italy with from high quality brass with a chrome plated finish. 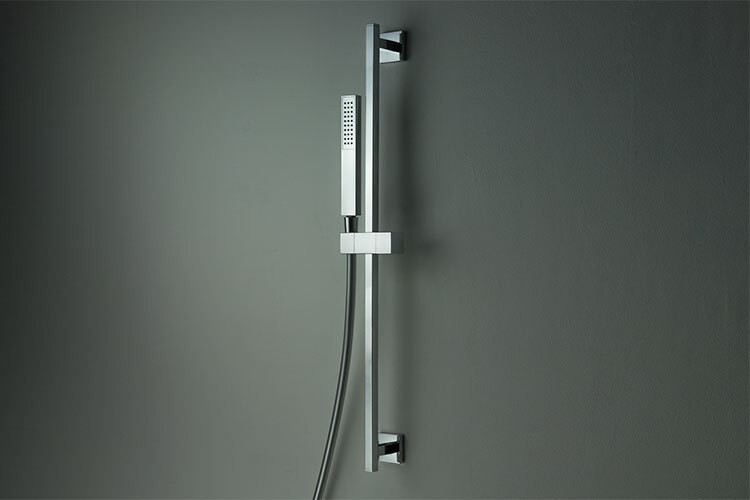 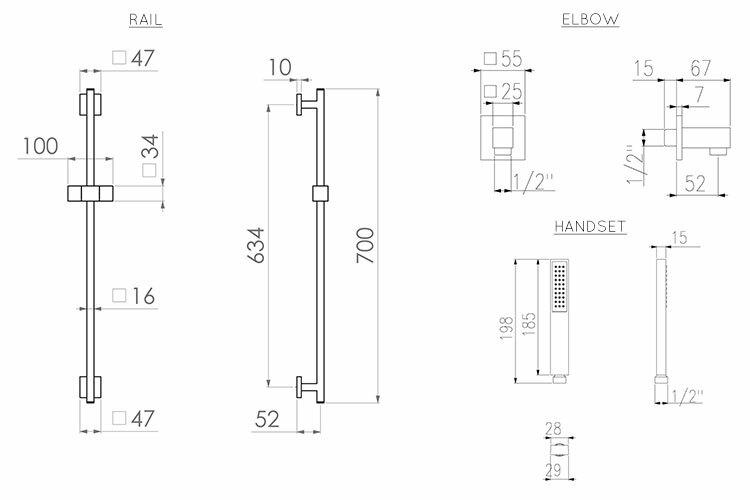 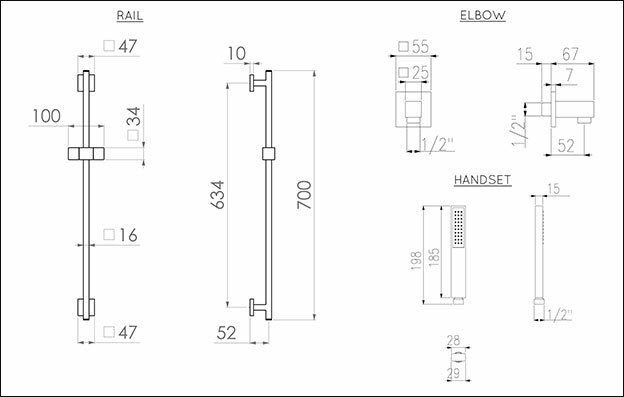 • Shower head, hose, rail and elbow connection.